Secret’s out ladies and gentlemen, our award winning Irish tour guides are our secret sauce! People are always amazed at their knowledge and enthusiasm. The guides work very hard to answer any of your questions, while making sure you are relaxed and having the time of your life throughout your trip. 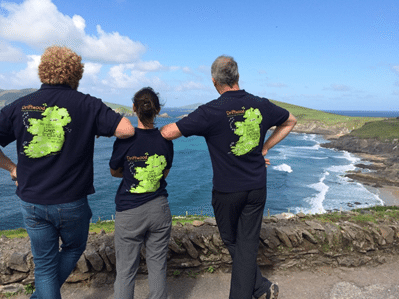 Every Vagabond tour of Ireland is fully guided by one of our award-winning team of guides. They really do have the best job in the world, roaming Ireland, going for walks and horse riding through the stunning Irish landscape. They love having a laugh with like-minded people and sharing with them their knowledge of the island’s history, culture and landscape. To ensure this, our staff are carefully selected and trained (to be naturally funny and entertaining) to make your Irish adventure unforgettable. Get to know our guide team here . What Would Ireland Be Like if We Never had Saint Patrick?